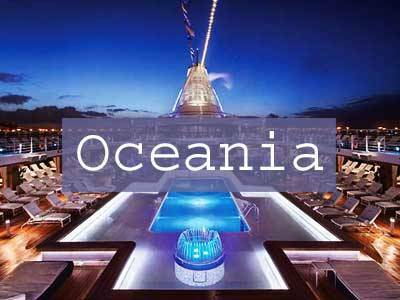 What’s Included in Ocean Cruising Pricing? 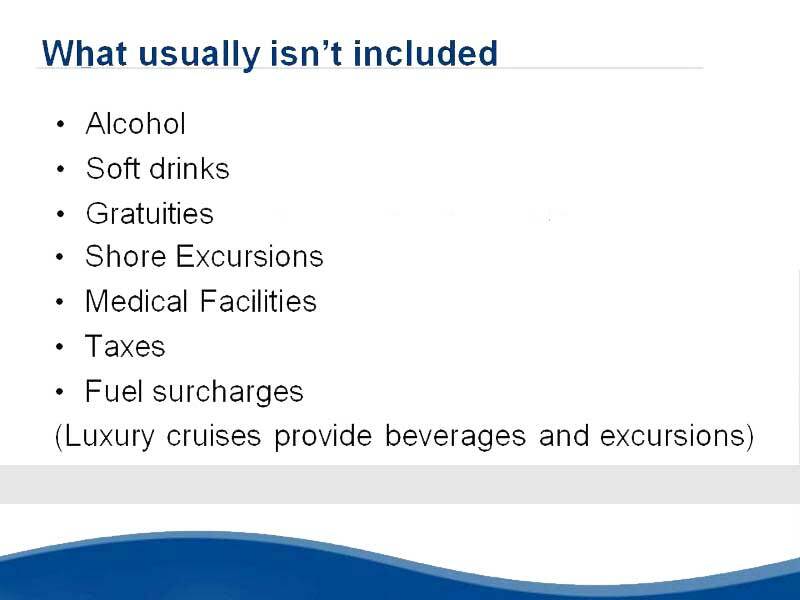 What’s Usually not Included in Ocean Cruising Prices? 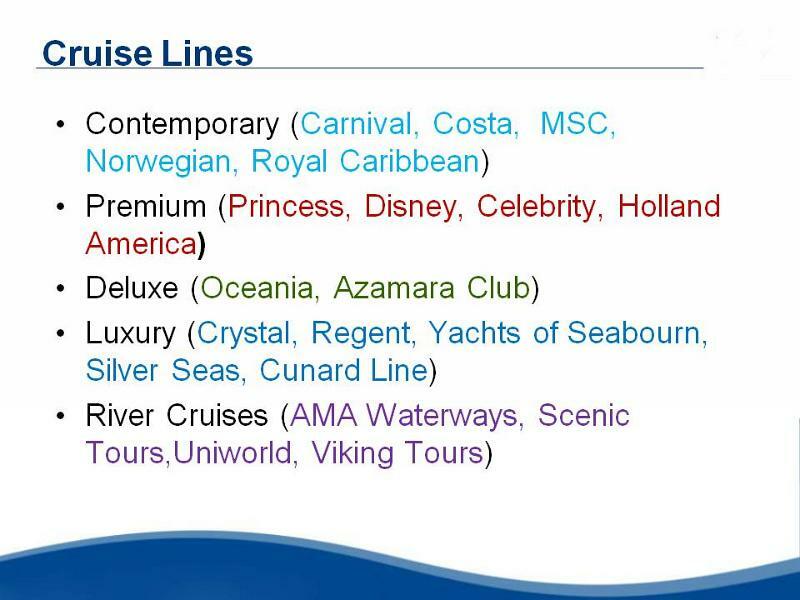 Alcohol – Most luxury lines include alcohol. 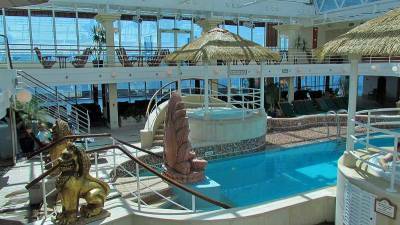 Popular cruise lines have alcoholic beverage plans for purchase. 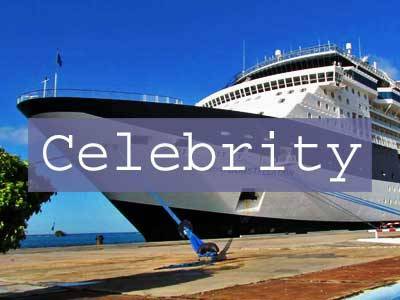 Soft drinks – Most luxury lines include soft drinks. 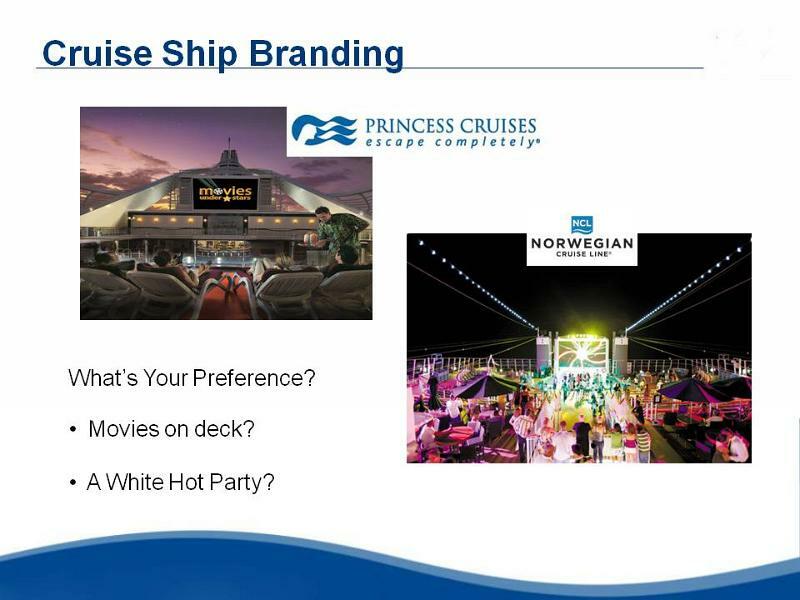 Popular cruise lines have soft drink beverage plans for purchase. 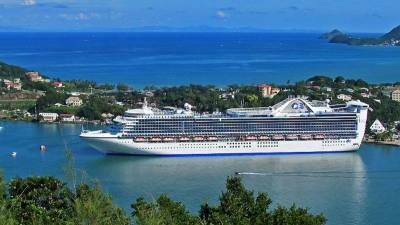 Gratuities – Most cruise lines charge a suggested rate per person per day, payable at the end of the cruise. Shore Excursions – Luxury cruises sometimes include excursions. Viking Ocean Cruises includes a complimentary shore excursion in each port of call. 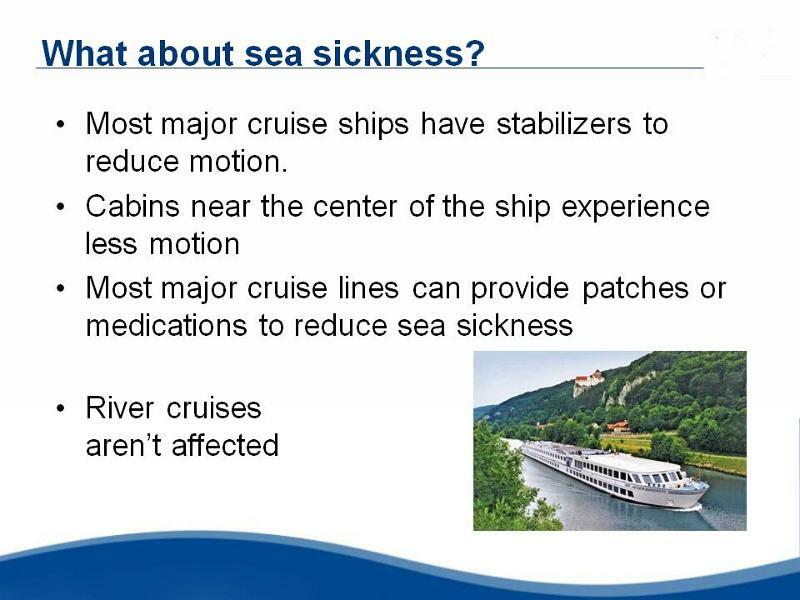 What about Motion Sickness when Ocean Cruising? 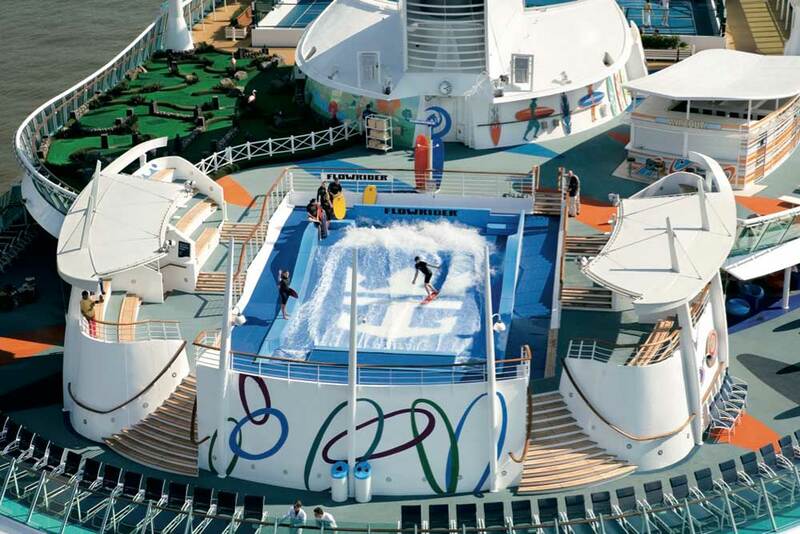 Most major cruise ships have stabilizers to reduce motion. 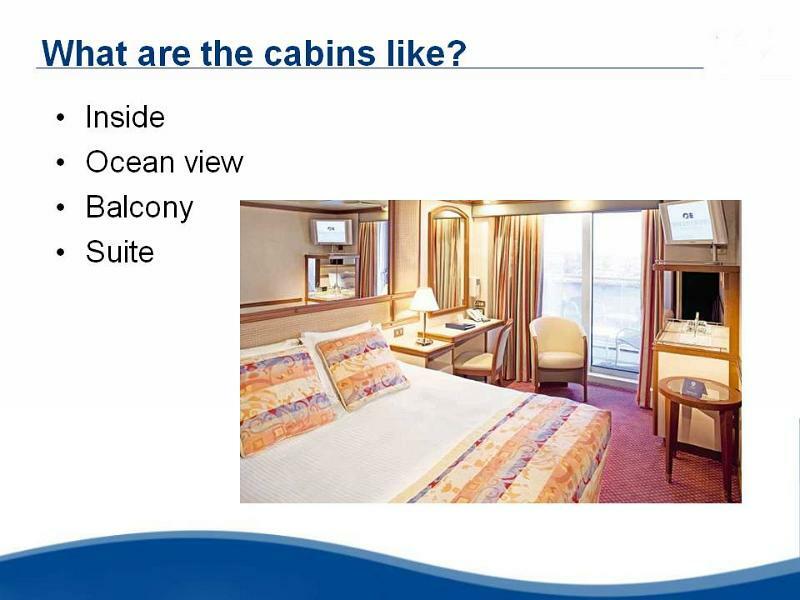 Cabins near the center of the ship experience less motion. 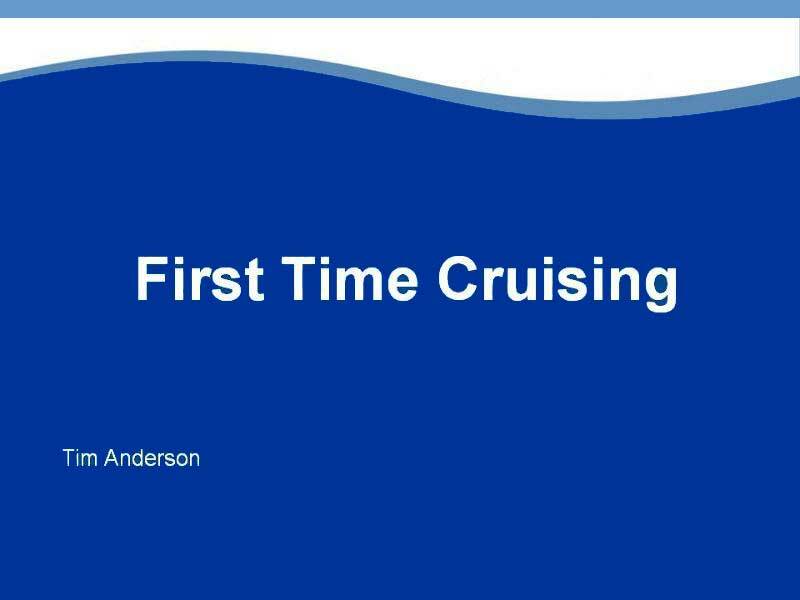 Most major cruise lines can provide patches or medications to reduce sea sickness. 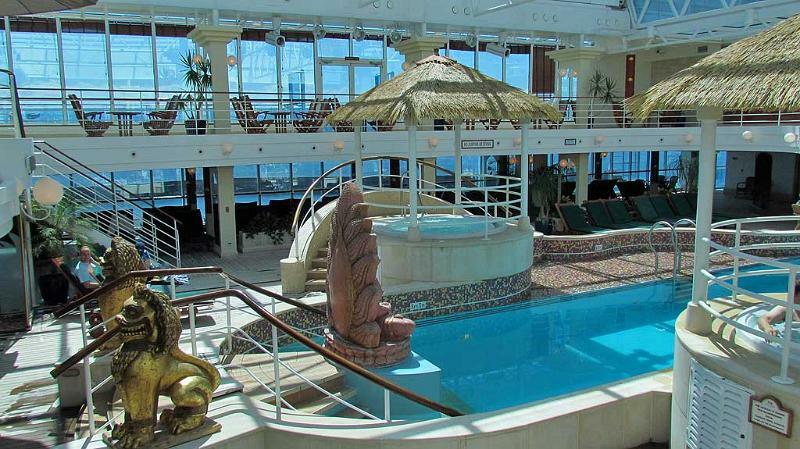 Motion sickness is more common in smaller ships. Antihistamines, such as Dramamine and Benadryl. The patch – Transderm Scop, containing the drug scopolamine, has fallen out of favor, because of a number of concerns about the safety of the drug. 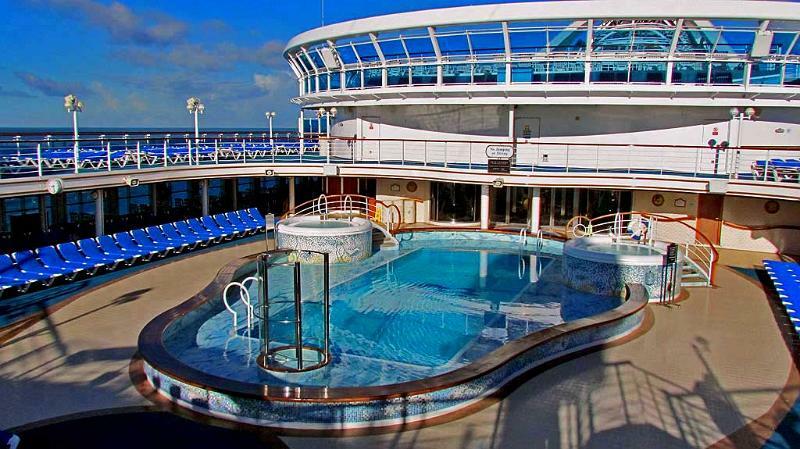 Focus on a fixed point, reduce body temperature by removing clothing or going on deck and eat crackers. Avoid strong smells, such as diesel. Apply pressure to the wrists with the thumb and 3 fingers. For more severe cases, lie down and close your eyes. 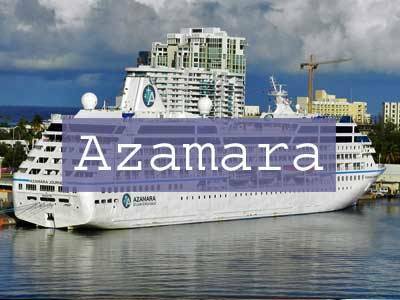 Do I Need to Know other Languages in Foreign Ports? 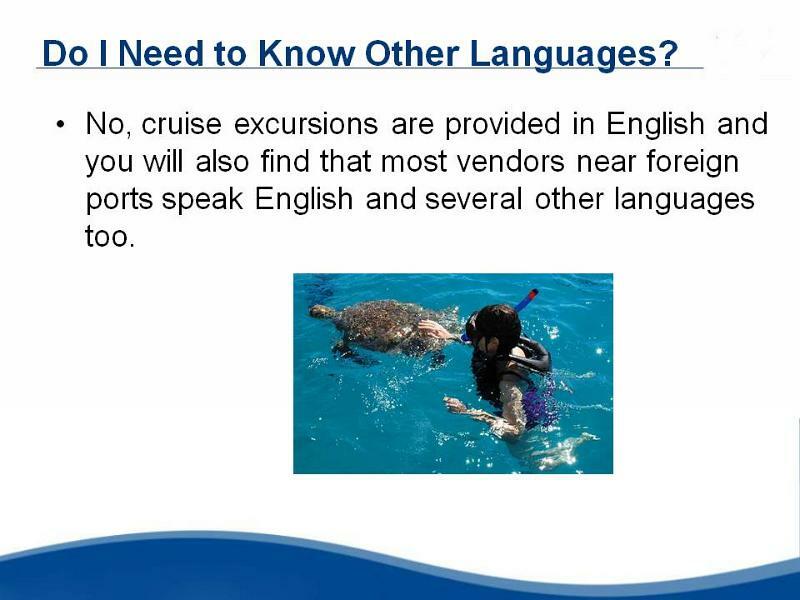 No, cruise excursions are provided in English and you will also find that most vendors near foreign ports speak English and several other languages too. Do I Need to Arrange for Visas? 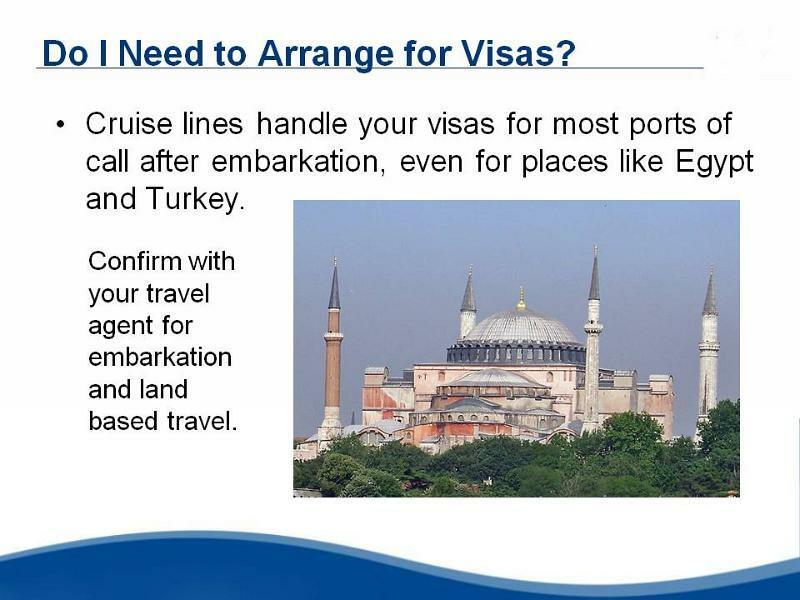 No, cruise lines handle your visas for ports of call, even for places like Egypt and Turkey. They will warn you of unusual cases where you must obtain a visa yourself, such as for Russia. 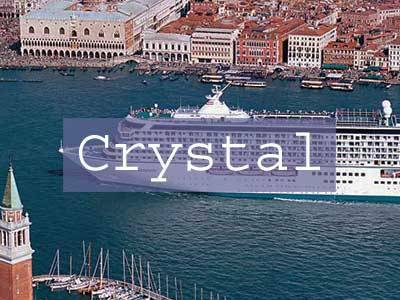 What Destinations are Best for First Time Cruisers? 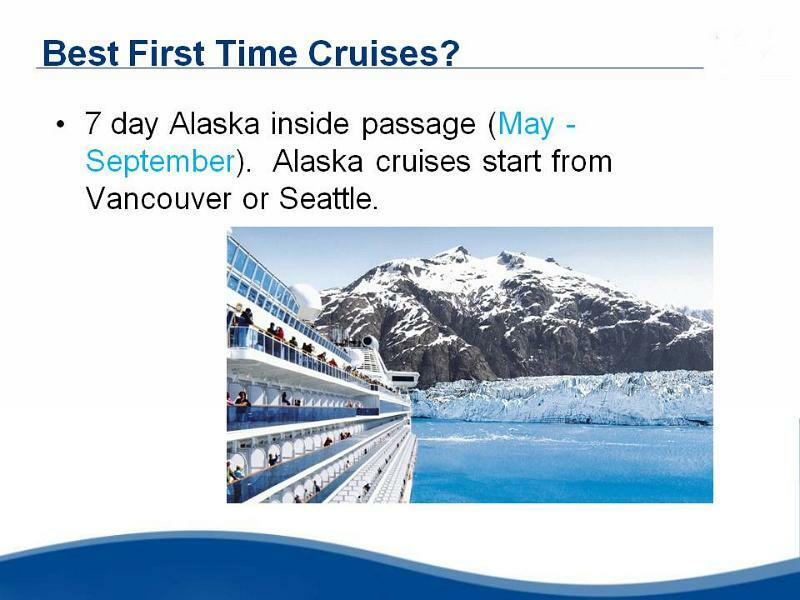 Many First Time Cruisers start with a 7 day cruise in the Caribbean (November – April) or Alaska inside passage (May – September). 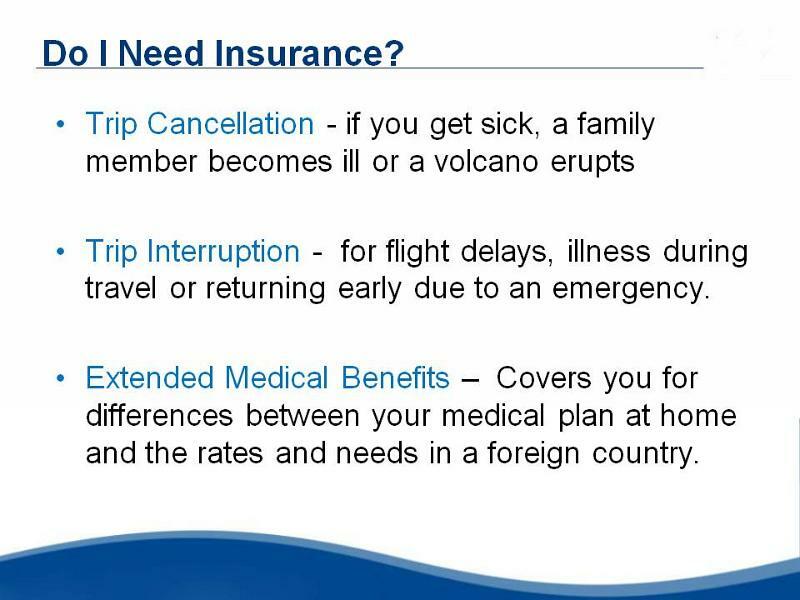 Trip Cancellation can save you the cost of your entire vacation if you get sick, a family member becomes ill and you can’t travel or something like a volcanic eruption prevents you from reaching your embarkation port. 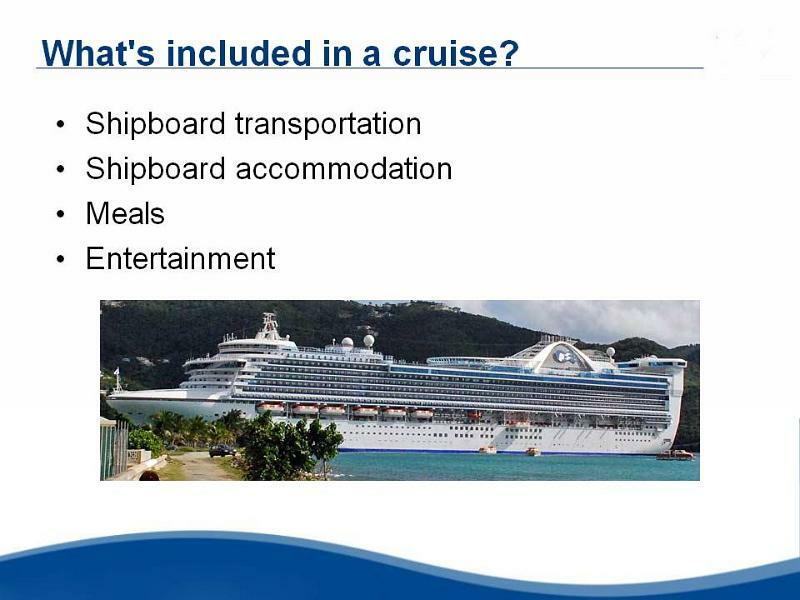 Cruise Lines provide their own insurance but this is restricted to trip cancellation and interruption. 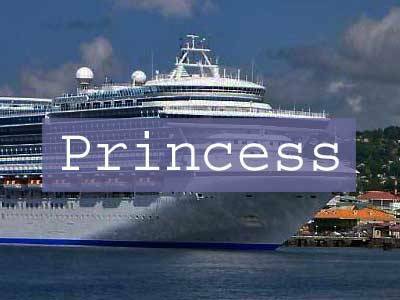 Some cruise lines offer Cancel For Any Reason insurance which allows you to simply cancel because you don’t feel like going any more. 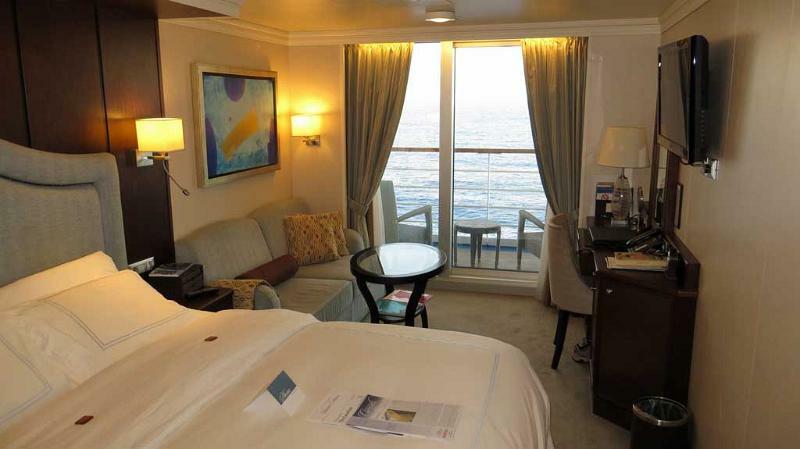 So, be careful of the definition of “suite”. 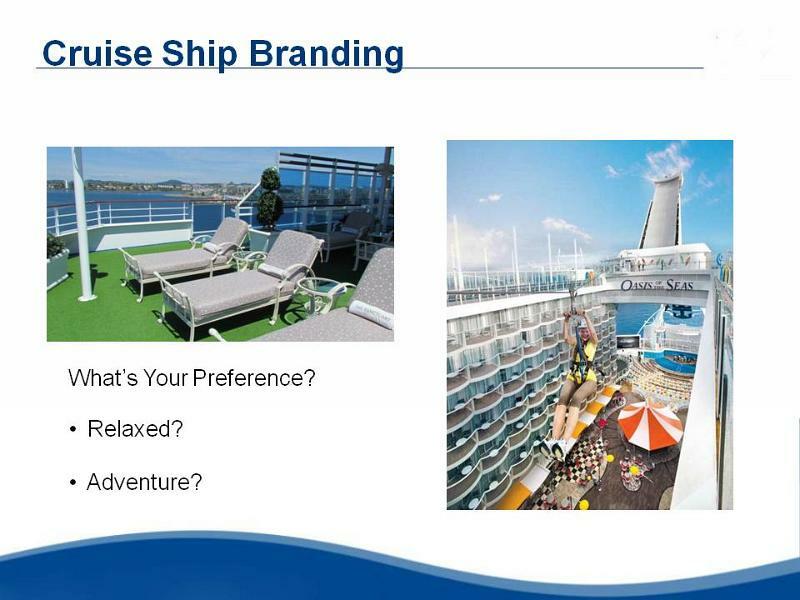 Some cruise lines use this to refer to the presence of a pullout sofa. 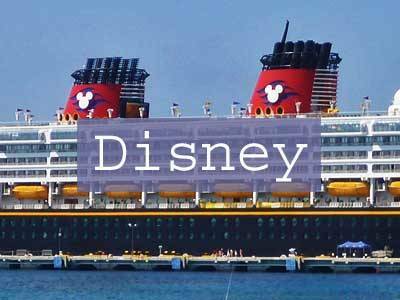 Who Owns Major Cruise Lines? 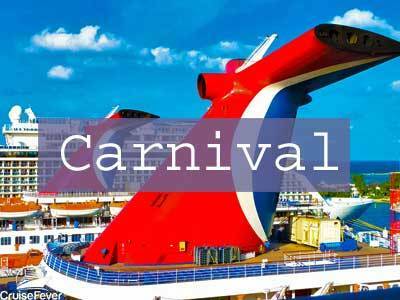 Carnival – owns Princess, Holland America, Costa, Cunard, Seabourn, P&O and AIDA. 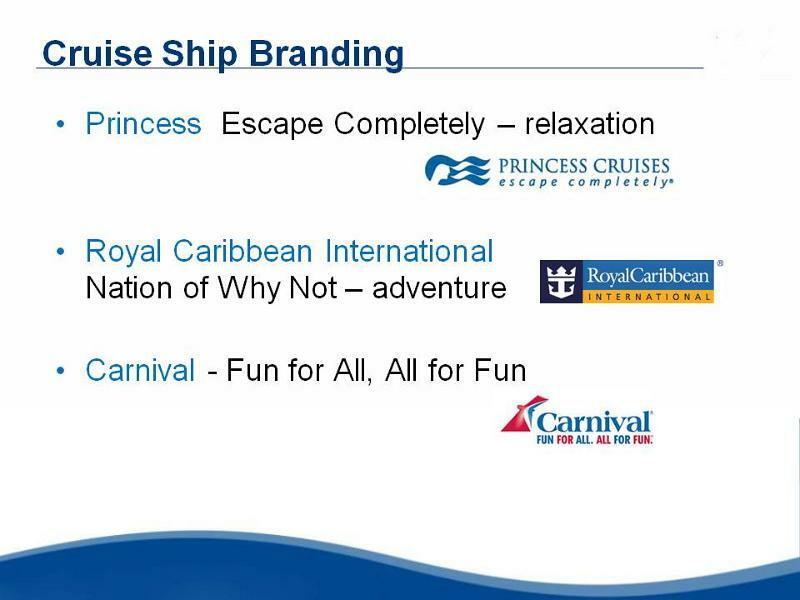 Carnival owns 50% of the world cruise market. 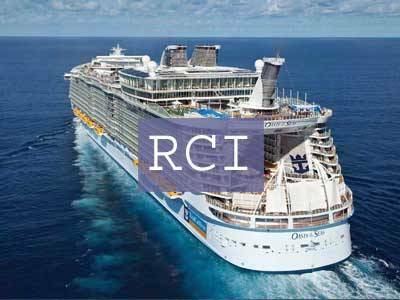 Royal Caribbean Cruises – owns Celebrity Cruises and Azamara Club Cruises. 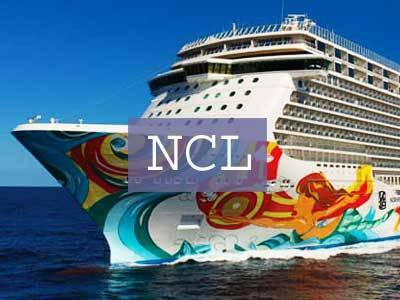 Norwegian Cruise Line – owns Oceania Cruises and Regent Seven Seas Cruises. 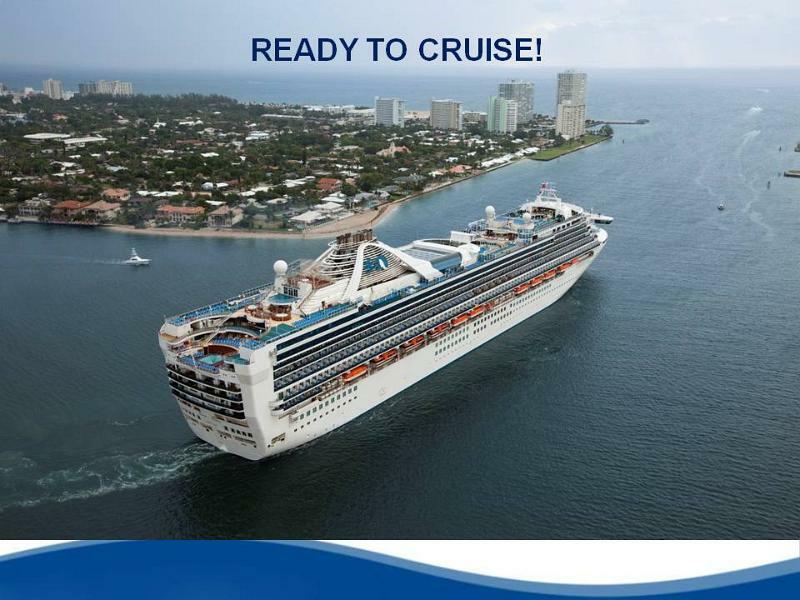 How Much Cash Will I Need On Board? None. 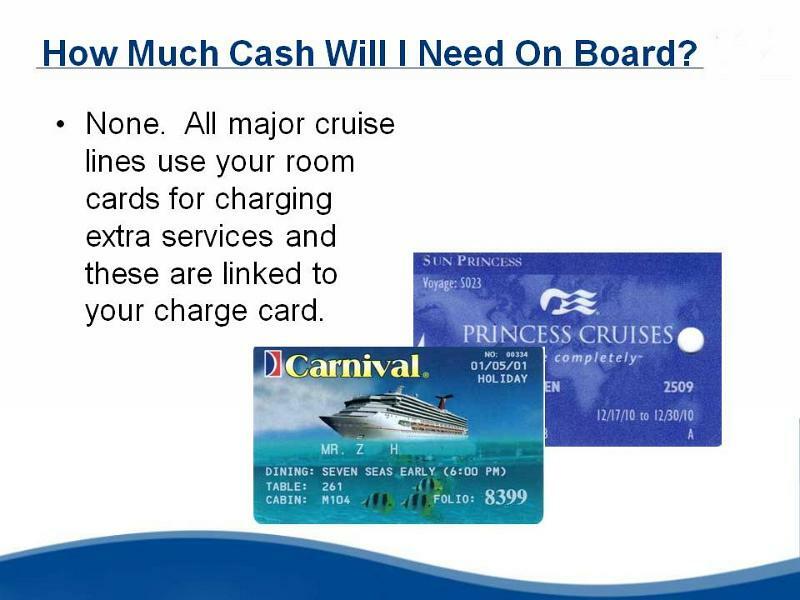 All major cruise lines use your room cards for charging extra services and these are linked to your charge card. Do Cruise Lines offer Discounts to Past Passengers? 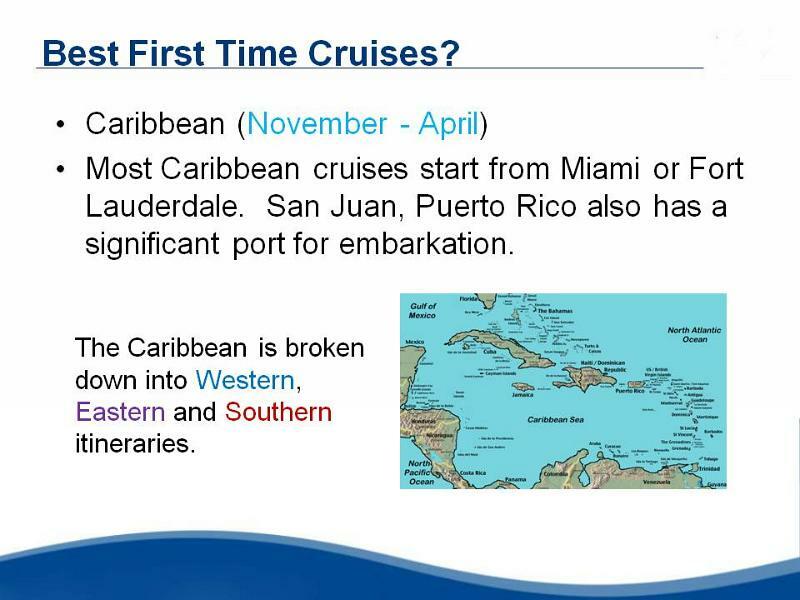 Yes, many cruise lines track past passengers and offer discounts based on the number of voyages taken. 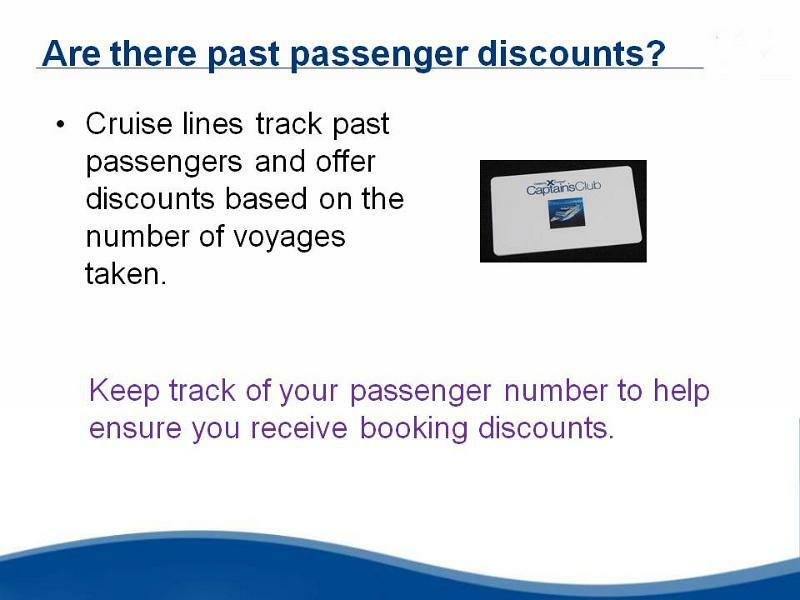 Keep track of your passenger number to help ensure you receive booking discounts. Facilities, buffets and entertainment are generally open to all guests regardless of the type of room booked. 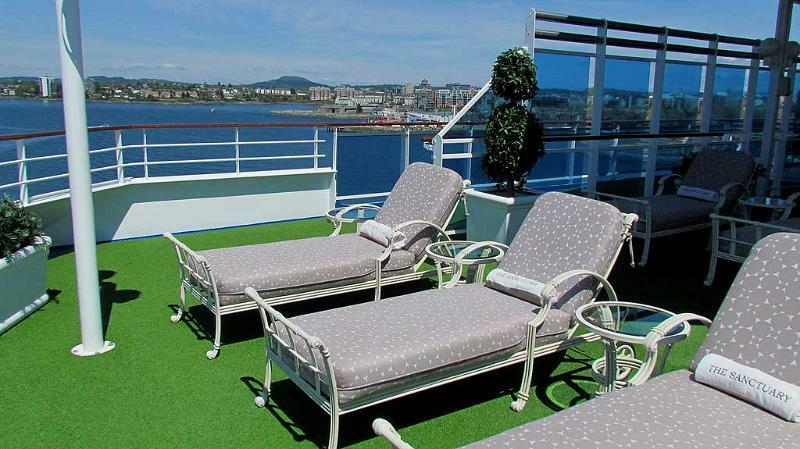 On some luxury lines dining and seating areas may be restricted. 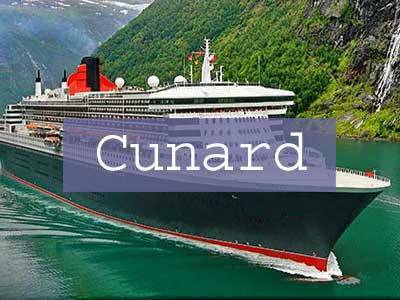 Cunard lines promotes 3 passenger classes with separate dining for each. 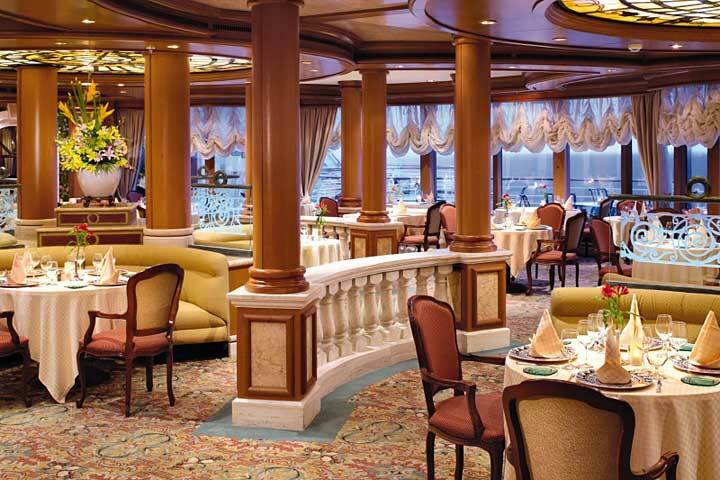 Celebrity Aqua Class and NCL Suite & Villa accommodation have separate dining for these passengers. 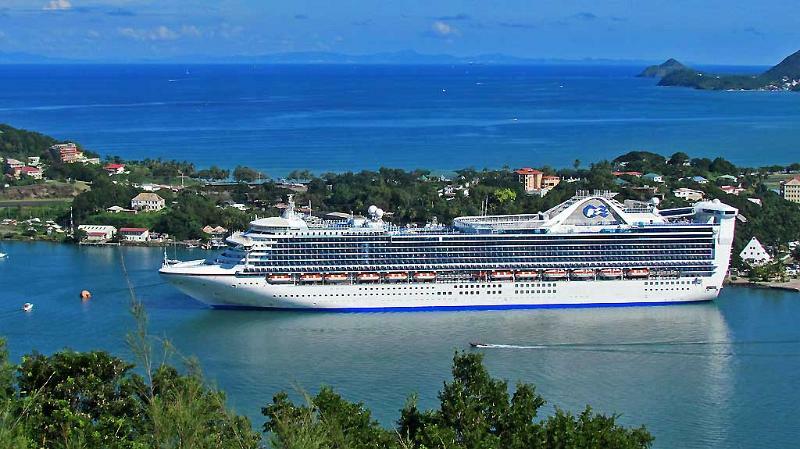 Cruises from Seattle to Alaska must stop at a Canadian port en route, which has helped Victoria, BC develop into a major cruise port..
Cruises starting in Hawaii must also visit a foreign port. 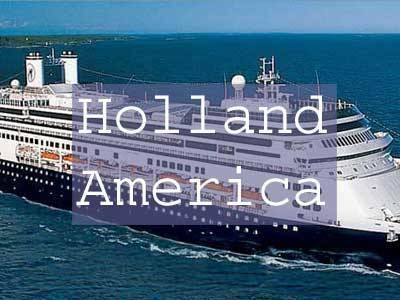 Most cruise ships therefore visit Mexico or Canada on their Hawaiian Island itineraries. 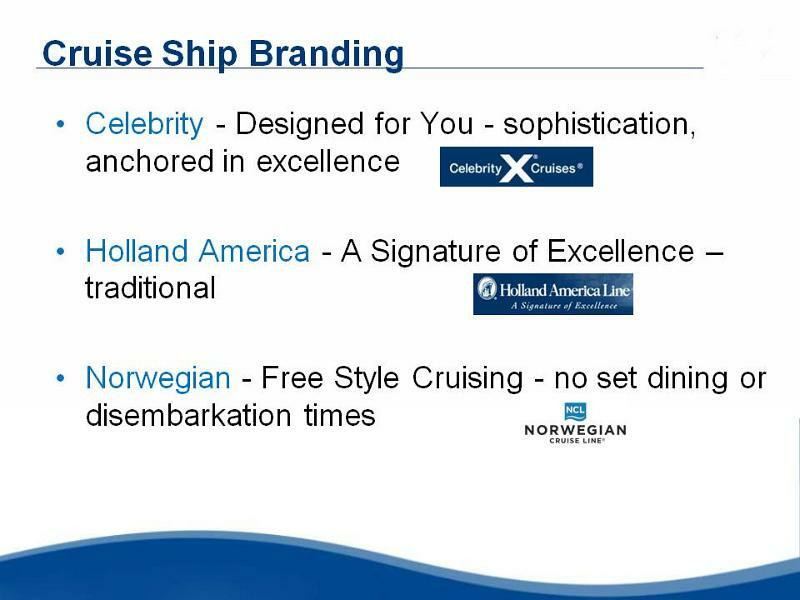 The Norwegian Cruise Lines Pride of America has met the conditions of the Jones Act and is the only major cruise line to start and end its cruises in Hawaii.